Divorce & Family Law Solicitors Welshpool And Newtown. Harrisons Solicitors. We pride ourselves on our empathetic professional approach to your problem. Here at Harrisons we pride ourselves on our empathetic professional approach to your problem. We will deal with your case efficiently and sensitively and in accordance with your priorities. Whether you just want to informally discuss your options with us or wish to take the next step straightaway we will be able to help. 1. Separation – to include advice to unmarried couples who need legal advice following separation due to arrangements that need to be made in respect of shared children or property. Providing a framework for the constructive resolution of outstanding issues in relation to the arrangements in respect of a child. Advice in respect of making an application to the Court for a Child Arrangements Order or a Specific Issue or Prohibited Steps Order if necessary. Advice in respect of emergency applications that may be required in order to safeguard a child. Advice in respect of public law proceedings in relation to children. Advice on the preservation of assets upon divorce. Any legal obligations to maintain a spouse or child. Advice in respect of your business and how it may be affected upon divorce. Preparing a Pre Nuptial Agreement. We provide emergency advice in situations where there has been domestic violence and can assist with an emergency application to Court if necessary in order to protect an individual who is the victim of domestic violence. 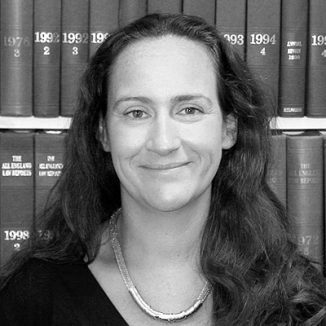 Meinir Wyn Jones is a leading lawyer within the Family Team at Harrisons with over 9 years post qualification experience. She is also a member of Resolution. Meinir is committed to assisting couples resolve issues of conflict arising as a result of their divorce or separation. Family Law involves advising on all of the significant judgements that a party needs to make with regard to their children and finances and often their business at the time of the separation. In addition there can be complex multi jurisdictional issues arising as a result of international marriages or assets retained in alternative jurisdictions. Meinir has extensive experience in these matters. Many couples who are separating wish to avoid going to court and as a result as a firm we are also committed to offering family mediation and collaborative law as a means of alternative dispute resolution. Both provide a framework to enable parties to make their own decisions with regard to significant issues affecting them but whilst providing guidance and advice throughout the process. If court is unavoidable we also have the strength and expertise to guide parties through the litigation process from the smallest of disputes to the most contentious and our team has expertise in dealing with multi jurisdictional issues, the dissipation of assets overseas, applications made in relation to leave to remove children from the jurisdiction and at times emergency applications requiring the court to make an order to freeze assets which may be at risk of dissipation. Our team has experience in dealing with low level claims to those where the assets in dispute run into many millions. Should the need arise Harrisons are able to advise on all aspects of Social Services interventions where children are concerned and fostering and adoption. Whatever your circumstances Harrisons are committed to help you resolve your family problems.